Successful viral infection, as well as any resultant antiviral response, relies on numerous sequential interactions between host and viral factors. These interactions can take the form of affinity-based interactions between viral and host macromolecules or active, enzyme-based interactions, consisting both of direct enzyme activity performed by viral enzymes and indirect modulation of the activity of the host cell’s enzymes via viral interference. This activity has the potential to transform the local microenvironment to the benefit or detriment of both the virus and the host, favouring either the continuation of the viral life cycle or the host’s antiviral response. Comprehensive characterisation of enzymatic activity during viral infection is therefore necessary for the understanding of virally induced diseases. 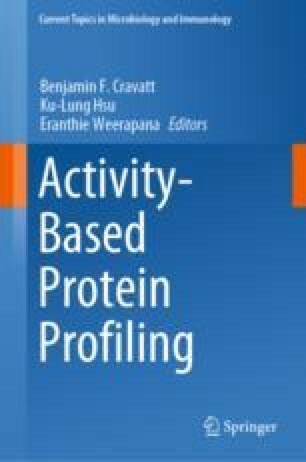 Activity-based protein profiling techniques have been established as effective and practicable tools with which to interrogate the regulation of enzymes’ catalytic activity and the roles played by these enzymes in various cell processes. This paper will review the contributions of these techniques in characterising the roles of both host and viral enzymes during viral infection in humans.